I've always been the type of person who likes to learn things about people. Sometimes that means asking a lot of questions, and sometimes that means peeking into people's lit up windows when I drive by at night. I'm not a creep, I just like seeing regular, run-of-the-mill moments of people's lives, whether I know them or not. Okay, that does sound mildly creepy, but I promise it's innocent intrigue. A healthy less public way to indulge this interest is via found photos. 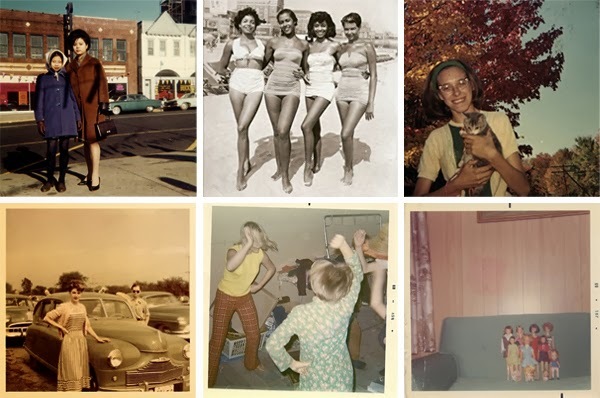 Found photos are just that - photos that have been found by someone else. One way or another, these photos ended up discarded or lost and in the possession of someone who doesn't know the photo subjects. You can find them at antique stores, flea markets or just on the ground, but I like to hunt them online. I especially love photobooth finds - intimate moments and narcissism at their finest! I love them because they tap into that curious (okay, nosy) thing inside of me that likes to peer into people's lives. 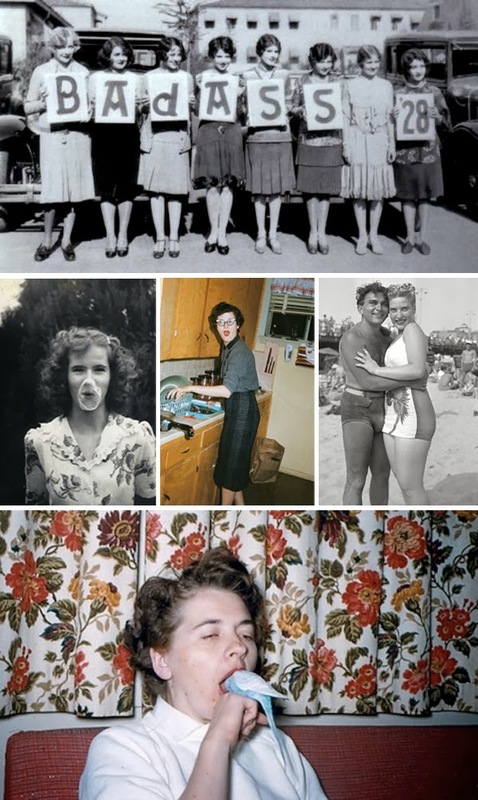 If I could just walk into strangers' houses and see what they keep in their refrigerator or what posters they put in their bedroom, I totally would, but since that is frowned upon, found photos offer a fun peek into strangers' lives and activities. Vacations, proms, dates, holidays, sleepovers - they all get captured on film. Flash forward fifty years or so and those mundane actions are suddenly exotic and cool. It's fun to imagine who these people are and what their lives were like. You can really create any story you want. See that dude above, with his sunglasses-wearing dog? That could be a photo taken by a friend of a hilarious party moment or the result of a tripod and self timer showcasing a weird, lonely night and a dog trying hard to stifle his "please rescue me" face. You'll never know! Let's not downplay the fashion inspiration! There are good things to be found in these vintage treasures. Look at those hot flapper babes! The bird is camera shy, I assume. As is often the nature of found photos, I don't have any original sources for these photos, but if you do feel free to pass them along! It's crazy to think of our own personal photos ending up online or in someone's collection years in the future, but that's what happened to all of these fine people. Can you imagine if a photo of you looking totally badass while eating a popsicle on the hood of your hot rod was being admired on someone's blog in 60 years? That would be amazing, actually. 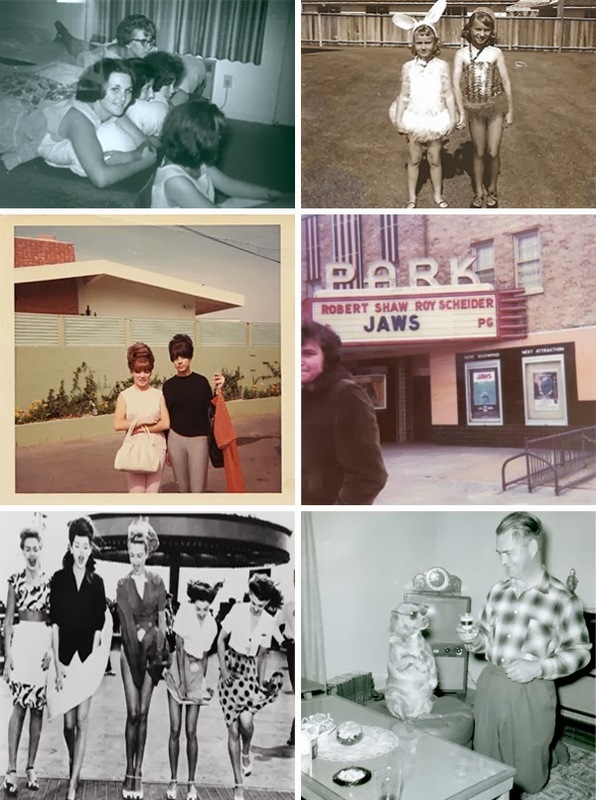 If you want more found photo goodness, follow my Vintage board on Pinterest, which has basically evolved into a never-ending stream of these goodies. 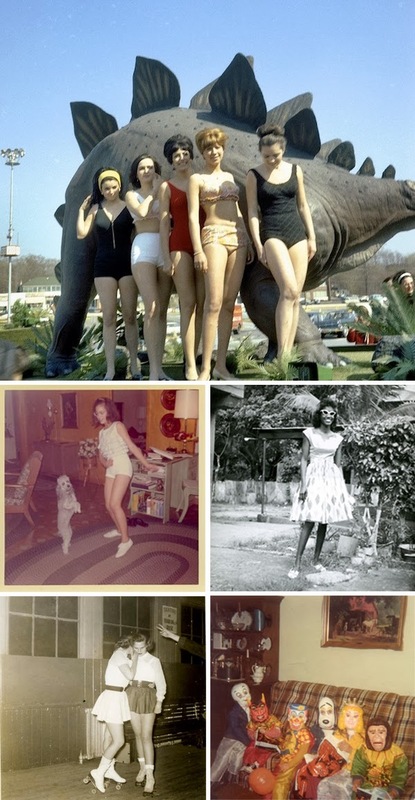 Do you love vintage photos? Do you think it's weird to collect pictures of strangers? On a scale from 1 to 10, how big of a creep am I? Have you ever taken a picture of you dancing with your poodle? I think one of the sad things about digital cameras is that we don't have as many random photo bloopers- we only ever keep the pictures of everyone looking at the camera for example.